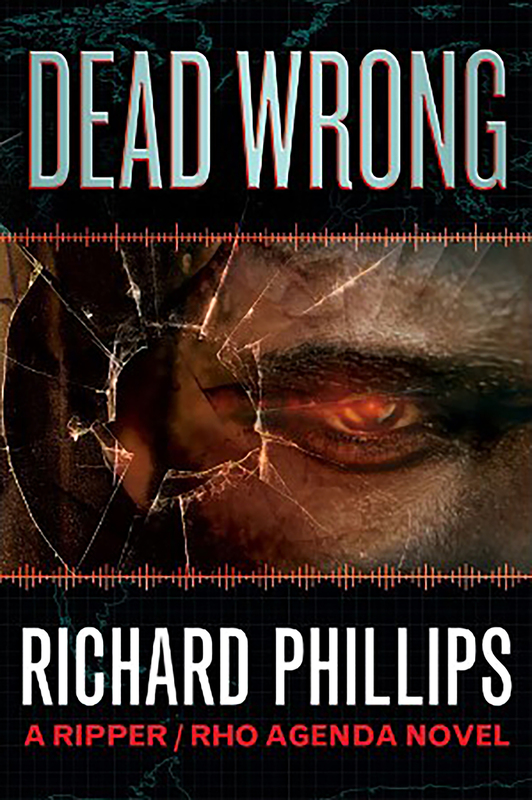 My new novel, DEAD WRONG, has just been released. For those of you who have finished it, I would appreciate it if you would take a couple of minutes to post a short review on Amazon. After reading the first three books of RHO Adgenda, I was very pleased for more reading on the series and having more background information brought fourth. Looking forward to more! Thanks Laird. Now that I’ve finished the three Jack and Janet prequels (with DEAD SHIFT scheduled for Jun 30th release), I have started in on my Rho Agenda Assimilation series which will focus on events after the Rho Agenda trilogy. Happy New Year. A quick question please, will you be doing anything about Heather’s baby putting Jennifer’s headband on? Don’t worry. There is a coming story where Janet’s baby Robby gets the center of attention … although it will be set a few years in the future. First though, I am doing three novels that deal with the aftermath of the Rho Agenda Trilogy. Hopefully Jack and Janet play a role in the next trilogy. Just want to say I really enjoy reading your novels. Thanks for sharing your world with us. Don’t worry. They will be heavily involved. Thanks. Currently listening to this title on Audiobook whoever picked your reader chose wisely. I love his German pronunciations. That way each book can get 5,6 or even 12 hours instead of 1-3 to cram in all the character development and back-story. “what exactly happened when Donald Stephenson when stepped into the first ship?” I know he assimilated himself into the kassari collective mission after that day but how? there were no headbands that we know of, that being the competing tech, or was he blasted or injected with nanites by the ships damaged AI? How was the crew sucked out of the second ship yet their headbands where not on their heads? If they were piloting the ship attacking the first ship it seems like they would have had their headbands on…. I love these books and I recommend them to anyone who will listen keep up the good work. 1. This is total backstory, but when Donald Stephenson went inside the Rho Ship for the first time, despite being badly damaged, the ship’s neural net activated the stasis field generator and used it to inject Stephenson with the Kasari form of nanites … a much more advanced version than what Stephenson was later able to reverse engineer and test on Priest Williams and Raul, prior to releasing it for distribution in Africa. Those nanites gave him the ability to interact directly with the ship’s neural net. It’s also why he was able to override Raul’s commands at the end of Immune. 2. Very good catch on the headsets and I probably should have explained this bit of backstory in The Second Ship. The Altreian crew didn’t actually need the headsets to tie into the ship while they were on board. However, whenever they left the ship, they put on the headsets to allow them to tie into it remotely. That is why they weren’t wearing the headsets when they were sucked out into space when it depressurized. I read the Rho Inception trilogy before the Rho Agenda trilogy, which although being prequels might have been the wrong order to start reading – as a consequence I was looking forward to reading about a (hopefully constructive) partnership between the entity Anchanchu and Jack Gregory – the second trilogy (first??) doesn’t refer to the relationship at all. Also at the end of Inception Jack has already learned about the Altreians, but seems to be ignorant of them when the young trio refer to them in the third agenda book. Excellent comments Simon. As you may recall, near the end of DEAD SHIFT, Jack reworks his deal with Anchanchu / Khal Teth and tells him to stay the hell out of his dreams (in exchange for a promise to help Khal Teth get his body back when Jack dies). This enforces a degree of separation between Jack and his rider, although Jack still has some significant side effects from the bond. About all Jack knows about the Altreians is that Khal Teth is one of them and that he was betrayed by their high council, had his memory wiped, and his body imprisoned in a Chrysalis Cylinder for eternity. When Jack has Mark, Heather, and Jen investigating the Altreian computer aboard The Second Ship, they learn more about the alien plans, all things that Jack knew nothing about. If that were the end of the story, it would be a huge dangling thread. Never fear, that and several others will be wrapped up in the three books of The Rho Assimilation. I hope to have the Beta draft of Book One out to all those who have signed up for my Beta Reader program by the end of August. By the way, if you would like to sign up for that, it’s free. Hope this helps.